I was a taken aback. Could it be that DT lines were a thing of the past? I quickly reviewed some websites and was relieved to find out that Orvis still offers DT lines, as does RIO, Scientific Anglers and a few others. Phew. Still, I wondered why anyone would say such a thing. My guess is that line manufacturers have come up with such a wide variety of task-specific, climate-specific and fish-specific lines in the last 10-12 years that DT lines just became a far smaller segment of the overall inventory, and have perhaps faded, at least a little, into the background. I asked a few fly shop owners how much DT lines figured in the overall equation, and the response could be summed up like this: DT lines are definitely no longer a staple product, to the extent that some sellers have recently come to designate the DT line as a specialty product. One even went so far as to call it an “odd bird.” I thought this a cute comment, at first. But then I was annoyed by it. IMHO, they aren’t odd birds at all, and I’d go so far as stating that in several cases, DT lines can easily be your go-to lines. Do you know that you’ll be roll-casting much of the day (and concerned about loop stability)? Are you ever concerned with delicate/pinpoint presentation? Or ultra-high accuracy? Well DT lines excel in all of those categories, and often they’re a notch better than many WF lines. For those of you who have never bothered fishing with a DT line, I strongly encourage you to give one a test run. The two (DT) rookie responses I hear most often are how much easier (as compared with a WF line), it is to perform beautiful mends, and how much easier it is to get a fly to land softly. Hardly surprising when you stop to consider how these lines are built and what their profiles look like. The third response, or, more appropriately, realization, is that a DT line can indeed be cast a good and adequate length—especially when they are roll cast. It’s an established fact that WF lines will win out in terms of distance, but only by very little. Oh yes, and DT lines are built symmetrically, so when one end wears down, you can simply remove line from backing, invert the line, attach the worn end to backing, and presto: new front end. Try that with your WF line. (Actually, don’t). Here are a few DT lines that I’ve fished with recently. All are top performers and worth taking a look at. 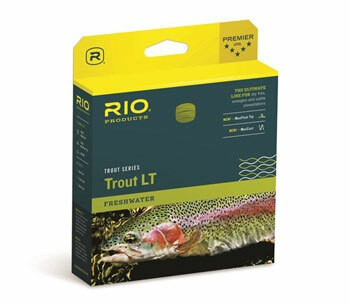 The RIO Trout LT (Light Touch) DT line features a long, fine front taper for the lightest of presentations. This extra-supple line is built with weight distributed towards the back of the line to aid in making easy roll and single handed spey casts. It features “MaxFloat Tip” (RIO’s proprietary tip coating formula), and is perfect for fishing dry flies, nymphs or emergers. The RIO InTouch Trout LT (Light Touch) line has the same build as the Trout LT, except with the addition of an ultra-low stretch ConnectCore. The greatly decreased stretch provides extra sensitivity for intuitively better cast timing, easier line lift and sharp, precise mends. Lack of stretch also means enhanced detection of subtle takes and faster reaction time when setting the hook. 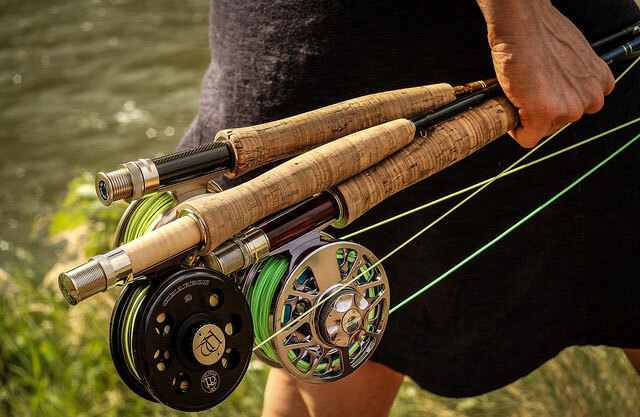 RIO’s LightLine DT has been designed to load slower, more traditional action fly rods (bamboo, glass, or the more “classic” flexing graphite rods). Built to precisely match industry line standards, this line will not overload such rods – even at longer range. The weight distribution and short front taper ensures the line loads at close range, making it ideal for fishing smaller creeks and streams. The Scientific Anglers Mastery DT line excels at delicate work at shorter distances—extra handy on spring creeks and smaller streams. An excellent choice when dry flies and smaller nymphs are the order of the day. 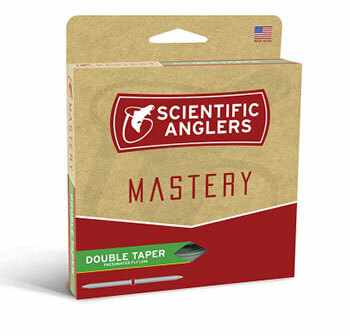 All Mastery series lines feature Scientific Anglers top-tier cores and coatings. The Scientific Anglers 70th Anniversary Heritage Ultra Presentation fly line is built off of designs made popular decades ago. Ideally suited for fiberglass, bamboo, and slow-action graphite rods. The Heritage Ultra is a classicly-tuned, delicate presentation trout line: at home on small streams and spring creeks. For use in moderate climates. 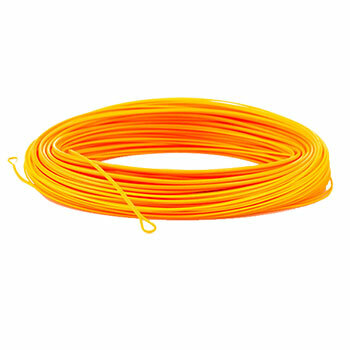 Using a monofilament core, Sunray (UK) makes micro-thin fly lines that are 20 to 30% thinner than regular PVC fly lines. The 0.55mm tips mean that they are not intended for heavy flies, but these lines are unequalled for silent pick-ups and pinpoint presentations—they also excel at cutting through light winds. They come in a variety of configurations such as micro-thin long or micro-thin short. All models sport similar characteristics to fine, silk lines – but without the drawbacks associated with drying and dressing silk. Sunray lines are designed principally to suit cane and glass rods. They come dressed in a camo colour scheme and are quite possibly the stealthiest lines currently available.